Today we employ many different types of optical imaging and sensing systems to observe and measure the Earth and the universe at large. However, designing optical systems for satellites and spacecraft is challenging due to the harsh conditions that space places upon components and systems working in this remote environment. When designing for a space application probably a key consideration is the life of the application or how long is the optical system required to work for. The longer the optical system is in orbit the greater the exposure to electromagnetic radiation thereby increasing the criticality of only using optical components and structural materials that are radiation resistant. All optical elements within Resolve Optics space lens designs are made using cerium oxide doped glass or synthetic silica enabling them to withstand radiation doses of up to 100,000,000 rads and temperatures up to 55°C without discoloration or degradation of performance. The next and probably trickiest consideration when designing spaceborne optical systems is the high vacuum environment. Careful selection of optical elements, structural materials and optical adhesives that do not release moisture or outgas is vital. Outgassing in an optical system could be disastrous as it could coat the optics and destroy the image quality. likewise choosing optical coatings that evaporate under vacuum risks causing moving parts to fail. Gravity or the lack of it also to be considered. When designing optical systems with moving parts in space you must minimise their degree of freedom as they will continue to move and wobble due to the lack of gravity. Any unwanted movement will of course result in loss of performance and precision. The space environment can also potentially subject your optical system to large temperature gradients that may result in changing of optical and mechanical properties, stress, embrittlement and thermal expansion. Knowledge of how your optical elements and structural parts perform across a wide temperature range is therefore also vitally important in designing optical systems for space. As you can see designing optics for use in space is not simple. 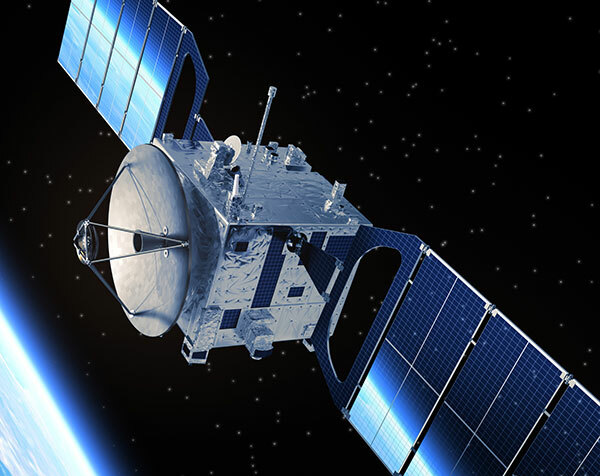 Over the last 20+ years we have worked with the leading international space agencies and satellite development companies in North America and Europe to develop and deliver high performance optical systems that reliably perform the function they were designed.